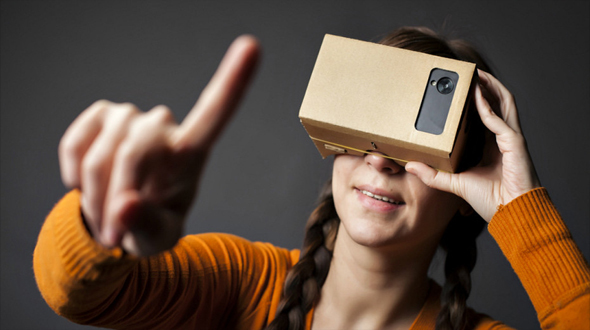 When Google launched its new equipment called “Cardboard”, it becomes the first virtual reality headset in 2014. This was configured in such a way, that it can work with your smartphone to give competitors a benchmark to work towards it and users an endless possibilities. Such is the case with a visually challenged woman who has been able to see again using Google's gadget. A woman named Bonny suffers from Stargardt disease, a common eyesight problem that causes photoreceptor cells in the retina to deteriorate, and in rare cases leads to complete vision loss. Thanks to Google Cardboard, as well as a free app called Near Sighted VR Augmented Aid, she is now able to see for the first time in eight years. According to estimations, about 25,000 people suffer from this disease. The disease causes progressive damage to the macula, an oval yellowish area surrounding the fovea near the centre of the retina in the eye. The disease causes a slow loss of central vision in both eyes. Near Sighted VR takes the video feed from a smartphone’s rear facing camera and delivers that same video to each eye, creating a stereoscopic image. This is similar to how the Gear VR’s live view mode works, giving the user a digital view of the world around them while still wearing a virtual reality headset. Apparently viewing a stereoscopic image so close to her face, allowed Bonny to regain some eyesight. A recent video uploaded to YouTube, showed Bonny being able to see her family for the first time in nearly a decade. The story of Bonny can be seen in the below video. This also shows that with changing technology and new innovations what all can be achieved. Hope you have enjoyed the post, do share your views in comment section below and share the article with others.